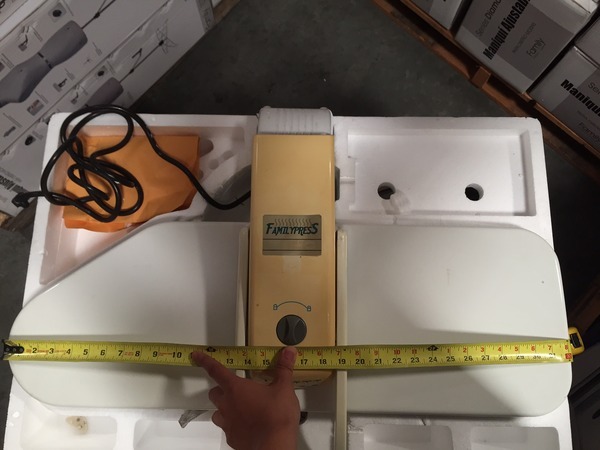 Compare to Ricoma and Reliable larger 34x11", ETL Approved. A steam press for HOME USE that you can get the inseam length of most pants onto the pressing boards! This Family Press Inspire 32 replaces the older Family Press FP202L model. The main differences are that the curcuit boards have been updated, the handle with steamburst has been improved, but the size and specifications are the same as the FP202L . 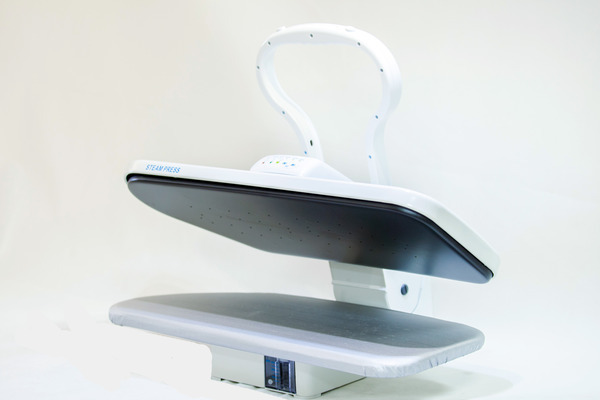 The Yamata Family Press is the first and most advanced electronic steam press. The 32x10" FP-202L comes with the most accurate settings and safety features while incorporating features available with regular steam presses. 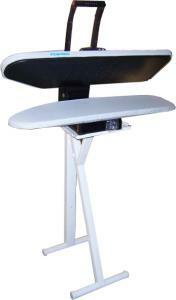 Extra large 32" x 10" pressing board - non-stick Teflon pressing surface is approximately 9 times of standard irons. No other press in the market offers a pressing area close to the FP202L. Any commercial use voids manufacturer and dealer warranty provisions. Please note: For home use only. 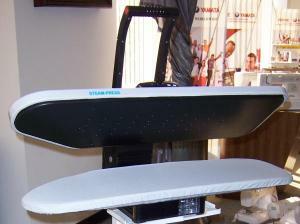 Note: Home Ironing Board Presses have 100 pounds pressure between upper iron plate and lower ironing board. Pressure is less at ends of the boards, depending on press width, fabrics and garments. Pressing Plate Size: 32x10" (630x260mm) Largest! Detailed instruction manual including tips for different items. Large 32x10" iron shoe and pressing surface. Professional Pressing - the easiest and fastest way to remove fabric wrinkle. Safer than dry cleaning - No chemicals, safe around children and pets. I just received my Steam Press Iron just last month, but so far my whole family is enjoying it. Even my daughter that hates ironing. Now I don't have to tell her to iron her clothes. She said it is so much convenient. So far it is standing up to it's reputation, I pray it will continue. I was very impressed with my overall shopping experience. I will shop here again. This was a gift for a family member. they decided they did not want the product. Although, we did not open or use the iron, I purchased this iron because of a recommendation from another family member. They said it was an excellent product. I am so pleased with my press. Thank you for such quick and easy service and the free shipping was wonderful, especially for such a large item. I have recommended you to several freinds and have found a few who already know about you and are equally happy with your company. Thanks again! I ordered a steam press and then a few days later ordered a vaccumm. Got both in a few days. We haven't used either yet but i feel that they will be fine. Thanks for the quick delivery, too. I've already purchased a Dyson from you, have been looking for the right pressing board, would purchase from no one else! I am recommending your website to my friends and family, excellent product selection and the price cannot be improved upon anywhere else! Would have liked to have seen a combo available for the FP202LE and stand. Also, a combo for the refurbished FP202L and stand. So far the unit is working well. It is not as thorough as using a hand iron but it's much faster.